Equip your team to fruitfully run Following Christ! Following Christ is a transformative course that is changing lives through the power of the Holy Spirit. With the help of this On-Demand resource, prepare your parish team to help course participants to acquire the heart and habits of a Catholic disciple. The first two talks are for the entire Following Christ Team. The next three talks are practicums for primary course leaders. These practicums model how to lead the three prayer ministry sessions in Following Christ. Disclaimer: Purchasing Following Christ On-Demand does not give access to the streaming videos to an entire parish or small group to login and watch the talks on their own. Following Christ On-Demand can certainly be shown at a parish course or small group, but sharing one's login with others in order for them to be able to watch Following Christ On-Demand on their own is not a legitimate use of the product. 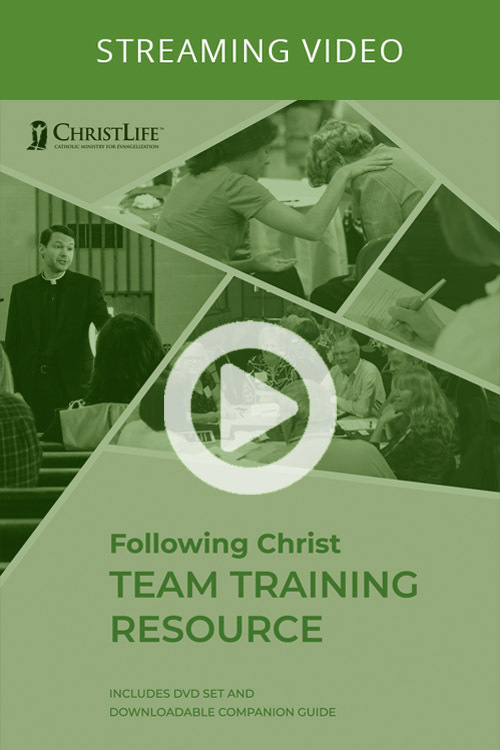 These five training sessions were recorded live at the ChristLife National Conference.